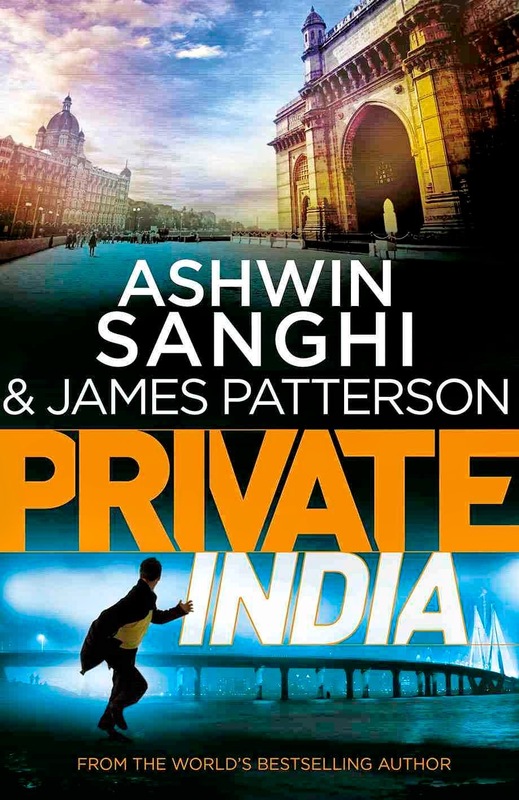 Out of high expectations from the author, I have applied for the review of “Private India”. It was an ecstatic moment to see the book signed by the author. Thanks to Blogadda! . Yipee..!!! I said and flipped the pages. The book is divided into two parts. Although first few chapters failed to grab my attention, the second part could make me read the book without putting it down. The play begins with the chain of murders happening in the city of dreams, Mumbai. Santosh Wagh, the main protagonist heads a detective agency “Private” branch in India. His team members Mubeen, Nisha and Hari are well trained and highly intelligent. Rupesh, the corrupted police officer requests Santosh Wagh to take up the case and crack the murder mysteries. The serial killer slays the victims by means strangulation, leaving yellow scarf at the scene. The detective Santosh discovers that the executioner is against women hood and pattern of crime scene resembles the nine incarnations of Goddess Durga. Personal revenge is the reason behind all the killings. Jack, head of Private worldwide enters the story but his contribution to solve the mystery is insignificant. Santosh is an alcohol addict and suffers from the mental trauma blaming himself for an accident that killed his wife and son. Nisha is a beautiful, bold detective married to a rich stockbroker with a kid. Mubeen is highly intelligent tech savvy officer. Hari Padhi, a forensic expert joins hands with the murderer and is responsible for season murders. Abdul Zafar is a trained government doctor and a forensic postmortem expert turns to be a terrorist and plots a bomb in Private India office located in Colaba. Drugs, mafia, prostitution, bomb blasts, child abduction, begging and all sorts of illegal activities are referred in story. Took many things didn’t cook the story well. South Mumbai is truly explored in the book. Finally, post eight killings the assassin is revealed to the readers. Climax failed to answer motives of couple of murders. The story ended abruptly without a take away. Story was unsuccessful in connecting the dots. The last 20 pages didn’t create any enthusiasm to go ahead and complete the book. Few unanswered questions: Why would South Asia’s well settled surgeon blackmail Ms. Aditi Chopra aka Mr. Aakash for money? An officer or forensic expert (Hari) is hired without validating his background? How is it justified that an intelligent officer like Santosh didn’t find out about Mr. Hari? How did Ms. Aditi Chopra aka Aakash meet Hari Padhi?. There is no explanation given on Priyanka Talati’s Thailand Visit?. How ridiculous is that Private India’s office in Colaba, highly advanced couldn’t detect the Gunny bags with RDX and Bomb? The story is fast paced, mini chapters of 2-3 pages with simple and lucid language. The editing could have been better. On the whole, this seemed to be a Bollywood masala style with many characters, twists and some drama. Unfortunately, this book neither left an impact on me nor satisfaction. The orientation of mythology tells where Ashwin Sanghi has contributed, yet this is not a typical classic Ashwin Sanghi type of book. Although not a kind of book that can be placed on the shelf for ages and centuries, can be flipped once.